Rock Star Tip: You can fill out the form at home and pick up in the morning! Be sure to checkout our eBook and audiobook collection by going to OverDrive. Stop by the LMC if you need assistance. 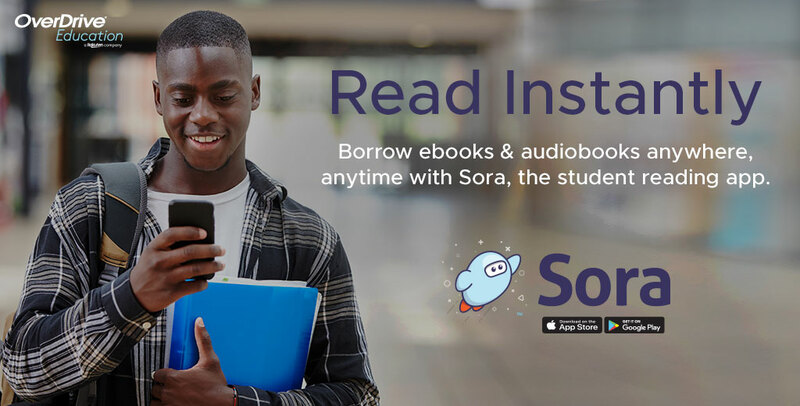 The Sora App lets you read across devices AND access Durham County Library eBooks/audio books. Woot! Click the "3 for ME!" logo and tell us what you like to read. We'll consult the Library Oracle and send you three book suggestions for what to read next. Easy Peasy! Need more suggestions? Check out the resources we've compiled on our Find Your Next Book page under the Students menu above. Click to find resources for what to read next, homework help, teen resources, opportunities to get involved in the community, and college/career readiness. Each week during the summer, SYNC provides two FREE audiobooks - one classic, one current YA - for anyone to download. Sign up for email or text alerts.